Logging your lifts each session has two main benefits; making your weight increments easier to remember and more consistent each session, and being able to see exactly what progress you’re making over what time. Read on for the template download link. The template has example data in it, just delete those before printing your log sheets. By default it’s set up for an upper/lower 2-day split, but you can modify that. Click the image below to download it. 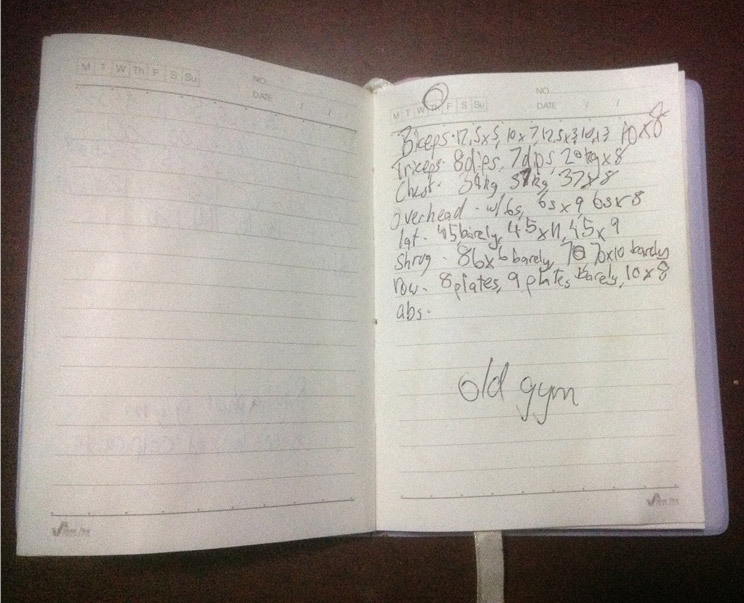 Compare that to my old method of using a log book, and the spreadsheet has clear benefits. You have 6 sessions on one page rather than having to flip through a book to find the relevant session. Checking your 1 month progress for example, is easier in the spreadsheet. 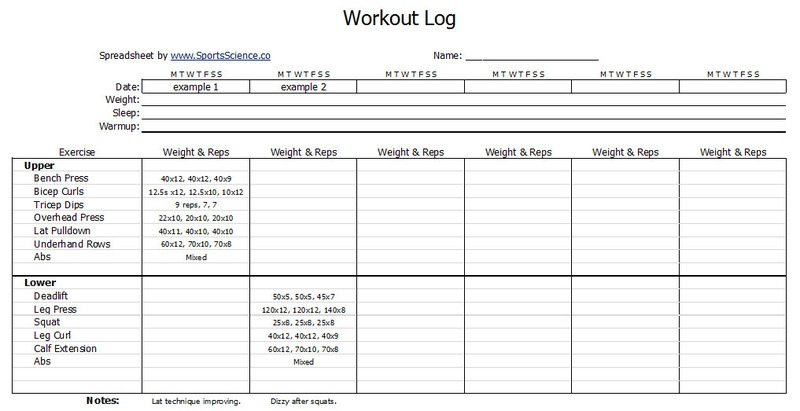 No Responses to "Free Workout Log Template"